Computer mice have remained more or less the same since their launch in 1968. Yes, they have incorporated scroll wheels, adopted the use of light in place of balls, and become wireless; however, their general appearance has remained relatively constant: a palm rest, left click, and right click. That should, however, not be misconstrued to mean all mice are the same. Each design comes with its fair share of subtle variations, which totally alter its usability. Be sure not to complicate the process of purchasing a mouse and everything will run smoothly. Simply put, just pay attention to the basics; a good scroll wheel, solid click, and comfortable design. This article highlights some of the best mice in the market that offer immense value relative to their price tag. 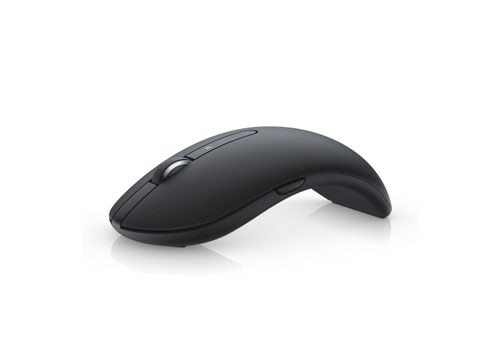 This mouse is quite unique, thanks to its rounded, smooth design which gives it a futuristic and chunky feel. It is designed with a little, yet comfortable thumb groove, which positions the hand nicely, thus significantly reducing wrist pain. The Microsoft Sculpt Mouse also has an extra button —bright blue with a Windows logo. The button initiates the “Start” menu. Below this button lies a more useful “back” button. It allows one to move to a previous page on a browser or apps such as File Explorer. The ‘Triathlon’ tag originates from the ability of this mouse to switch between three computers by simply tapping a button. The most impressive feature, however, has got to be the scroll wheel. It includes a little button at the back which switches the wheel between a ‘hyper fast scrolling’ style which removes the notches one feels while scrolling, so the wheel can glide more smoothly and faster, and the classic ‘ratchet’ style where one feels the notches during scrolling. The design fits nicely in the hand and is also exceptionally attractive. Furthermore the battery is great. It guarantees that for one AA battery, the mouse would last for up to two years before more charge is required. Of all Logitech products, this is the only mouse that incorporates quiet clicking. Quiet click employs cushioning technology fitted underneath the clicks to entirely cushion the noise resulting from clicking. While the clicks can still be felt, no sounds are generated. 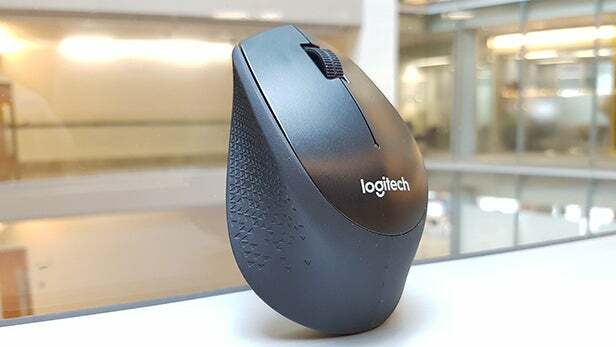 According to Logitech, the mouse is characterized by 90 percent less noise compared to a traditional mouse. A noticeable feature about this mouse is its extremely small and flat appearance. In fact, one is forced to clasp the hand into a claw-like manner with arched fingers, to achieve an easier click of the buttons. For that reason, it doesn’t rank highly when it comes to comfort. That being said, the mouse boasts of a sleek design. Moreover, the scroll wheel is characterized by a precise and nice feel. An equally impressive feature is the quiet click, which comes in handy when operating the mouse in a quiet environment, such as a library. This mouse functions well and looks good, thanks to its light-weight design. It has forward and back buttons on each side as well as a button at the back of the scroll wheel, which allows for quick and easy switching between devices. Additionally, the clicks are super soft, hence don’t call for a hard press. A major drawback, however, is that the laser sensor, which tracks the cursor, is positioned at the furthest tip of the mouse, significantly increasing its sensitivity to the smallest movements. While a mouse might appear as a basic device, one can never underestimate its functionality and convenience, especially when the manufacturer has incorporated remarkable upgrades. The mice included in this list have proven to be of topmost quality if majority of consumer reviews are anything to go by. Be sure to check out more excellent mouse reviews to increase chances of landing the best product when making the purchase.